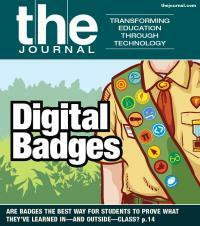 With new programs and standards emerging, digital badges may soon help students prove what they've learned in—and outside—school. But as long as schools measure progress by seat time rather than mastery, can badges find a place in the traditional K-12 merit system? Our Space: Executive editor Christopher Piehler introduces our new Advisory Board, aka the Ed Tech Superheroes. Here & Now: Check out our experts' tips for effectively managing your iPad classroom. Innovator: Innovator Sean O'Neil screencasts his favorite tools to help gamify your classroom. As schools shift to mobile devices and new forms of instruction such as flipping the classroom, they are improving learning for all students by using assistive technologies that bridge the gap between special and general ed. Project RED's Jeanne Hayes and Thomas Greaves walk educators through four crucial steps in preparing for a 1-to-1 program, as well as nine Key Implementation Factors. Now that sequestration has taken effect, districts around the country are wondering whether and when federal budget cuts will hit them. Jenny House, president of RedRock Reports, sets the record straight with myths and facts about what she calls the Funding Cliff. Since the 1970s, a small but committed group of educators and developers has been encouraging students to learn the language of technology: computer programming. Today, those efforts are moving forward, as a number of kid-friendly languages are being developed with the goal of harnessing students' attention and imagination. As part of our continuing series on collaboration in the classroom, we look at how students can work together even if they are using different devices. Many districts are finding device-neutral, cloud-based software helps connect students, while some are experimenting with desktop virtualization. Meanwhile, students working together with dissimilar devices are learning real-life lessons about choosing the right tools for the task at hand.